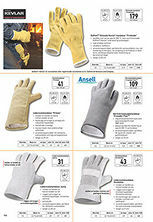 Heat protection gloves made of leather combine the positive properties of a natural product with good heat protection. Leather is breathable and comfortable on the skin. It is also very wear-resistant. 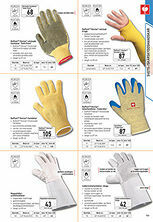 The protective properties, in particular against splashing metal and heat, make leather gloves suitable for a number of tasks.